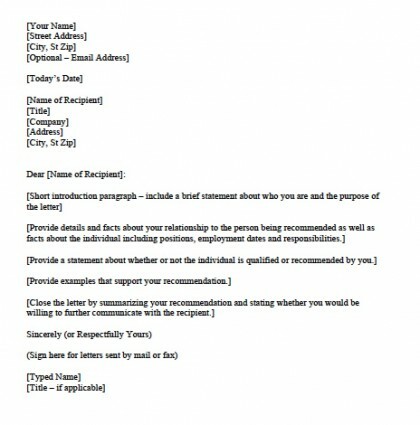 Employers use personal character reference templates as recommendation letters to assess applicants’ personal characteristics that might make them stand out from the competition. Here is an explanation of how to right effective personal character references with a template. 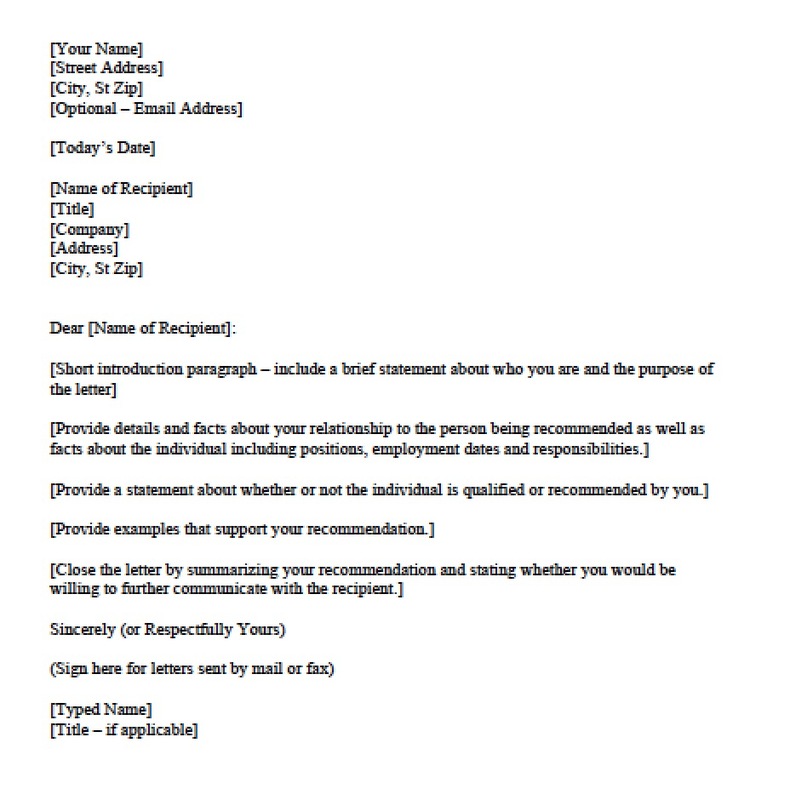 The purpose of the letter is to convey that the applicant is a good person, so you will need to think about why you like this person and then translate that into effective writing. Thus, you will need to consider what makes this person stand out in your mind and find specific examples to show the person’s good qualities. Think about what an employer or college would want to know about the applicant. 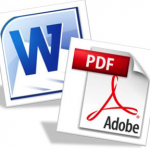 Introduction: Briefly describe your relationship with the subject of the letter. Body paragraphs: General statements about character and accomplishments with specific examples as support. If the letter is for an employment reference, consider using a formal heading aligned to the left with the your and the recipients addresses and phone numbers. After the greeting, state your relationship with the subject and how long you have known him or her. In the same paragraph, include one sentence about your overall assessment of the person. For example, if the person is applying to a music curriculum, say right away that he or she is one of the most diligent or creative music student’s you have had in 10 years, if that is in fact true. Then in the next one or two paragraphs, expand on the person’s good qualities and use specific examples to demonstrate them. Think about traits like people skills, efficiency, attention to detail, and analytical abilities, for example. It’s important to convey that the applicant has these skills, so be sure to do so. Describe specifically a time when the applicant effectively performed a great deal of work in a short amount of time, for instance, to show the applicant’s efficiency. To end the letter, let the recipient know you are free to be contacted, and use a closing like “Sincerely,” or “Best regards,” and then sign and print your name below.